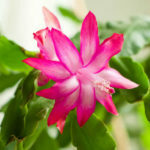 Schlumbergera bridgesii is a very popular and unusual cactus. 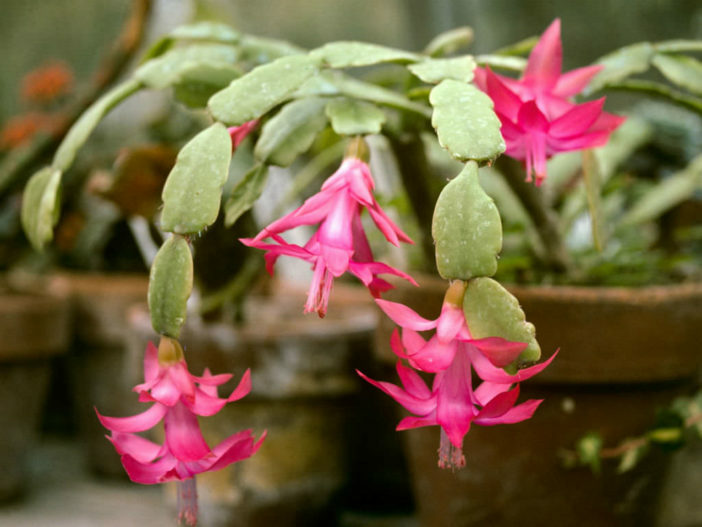 The plant bodies are flattened and the leaves are actually stems. 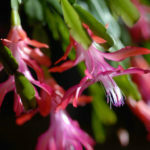 The flowers are produced from notches in these stems or from the tips. 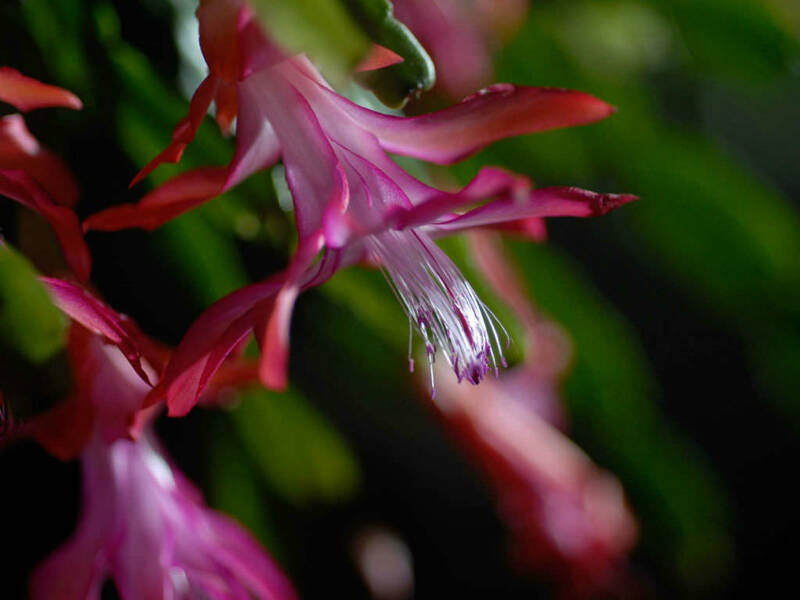 The fuchsia-like flowers bloom any time from December to February and last a long time. 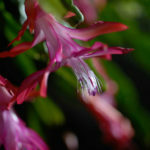 They are generally carmine red, tinged purple in the center, and perfectly symmetrical. 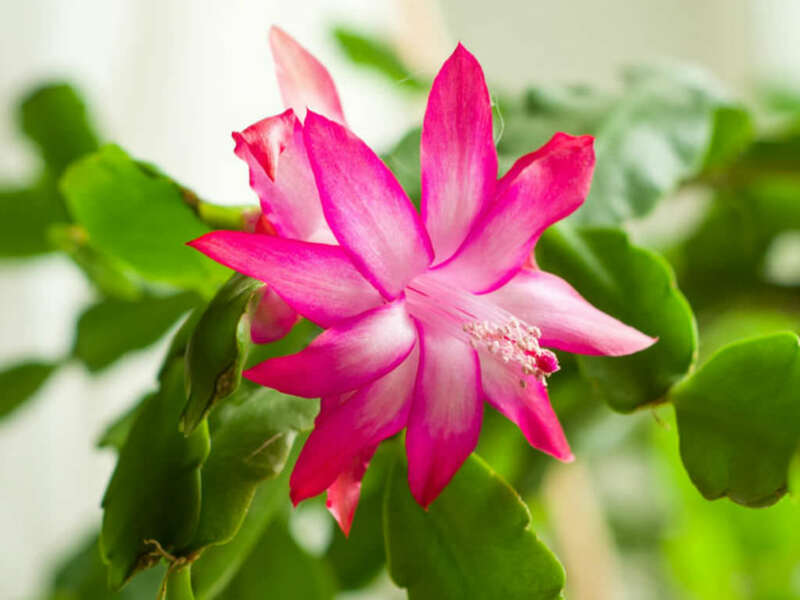 Schlumbergera bridgesii is native to the coastal mountains of south-eastern Brazil. 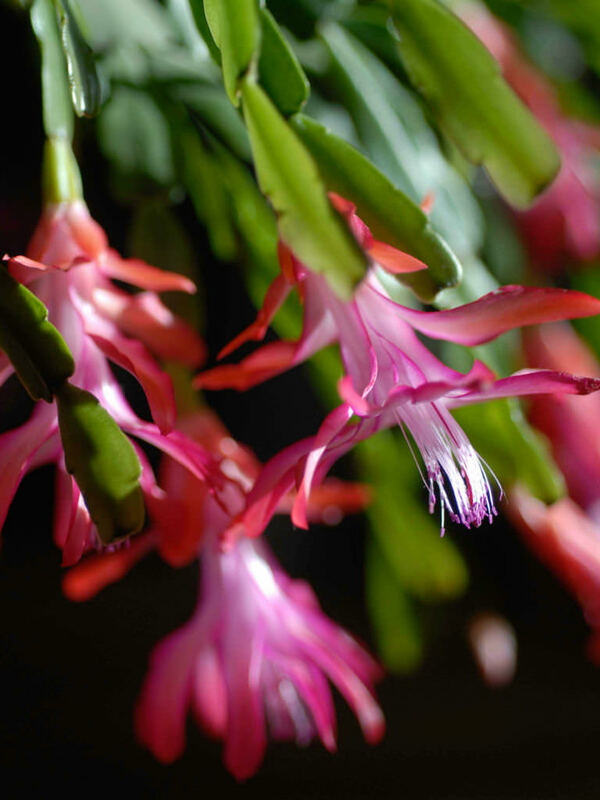 English botanist Martyn Rix identifies Christmas Cactus as a hybrid, Schlumbergera x buckleyi, originally produced in the 1840s by William Buckley at the Rollisson Nurseries in England.